Celebrate rescue and shelter dogs. We believe in shelter and rescue dogs. We believe in the courage and strength it takes to bounce back from a past that no dog deserves. We believe in resilience, in before and after. We believe in the power of success stories and their ability to change our minds. We believe that rescue dogs aren't damaged or broken. 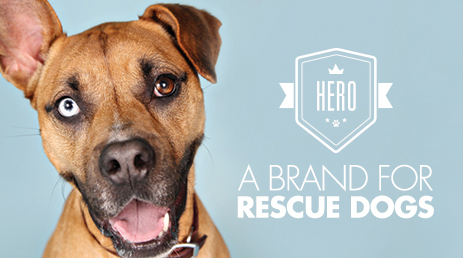 It's time to change our perception of rescue dogs and give them the name they deserve -- HERO. Join the HERO movement by getting your dog their very own HERO collar and leash today. Learn more about how you can help further the HERO movement and share your dog's story. Sign up with your email address to receive awesome news and updates about rescue dogs. We respect your privacy, we also won't send you crap.